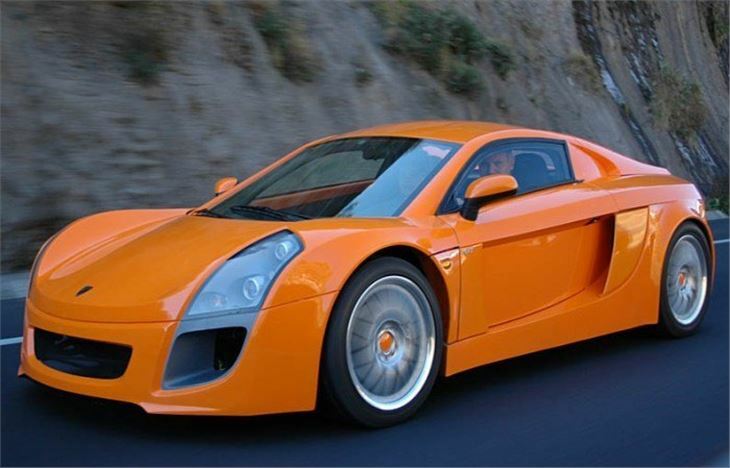 Mastretta MXT sports car is first ever car designed and built in Mexico. 150mph, 0-60mph in less than 5secs. Chassis employs aircraft construction techniques. Prices from £32,999. World Debut at press day London Motor Show 22nd July 2008, Stand N10 ExCeL. Imported by Lifestyle Automotive, company boss Tom Martin. Lightweight two-seater weighs just 900kg. Has a 2.0 litre chain cam supercharged/turbocherged? Ford Duratec engine developing 240bhp, giving a 0-60 of less than 5.0secs. Constructed from bonded aluminium, the semi-monocoque chassis feature aircraft style technology. Closed mould techniques sculpt the distinctive body from high quality fibreglass and the air-conditioned interior is leather-trimmed. Direct feel through rack and pinion steering – 2.8 turns lock to lock. And 293mm ventilated brake discs with ABS as standard slow the car with eye-popping power, when necessary. Mastretta MXT has double wishbone suspension front and rear.